October 18, - Malaysia-Indonesia relations have long been established, since then we are the brothers who shared in many things such as culture, language, food and even rash. Indonesia is not only a major trading partner for Malaysia but also has become a focus for a number of Malaysia students pursuing studies in various subjects. In general, the direction of higher education roadmap is being developed to pave the way to boost bilateral ties for better cooperation between Malaysia and Indonesia. 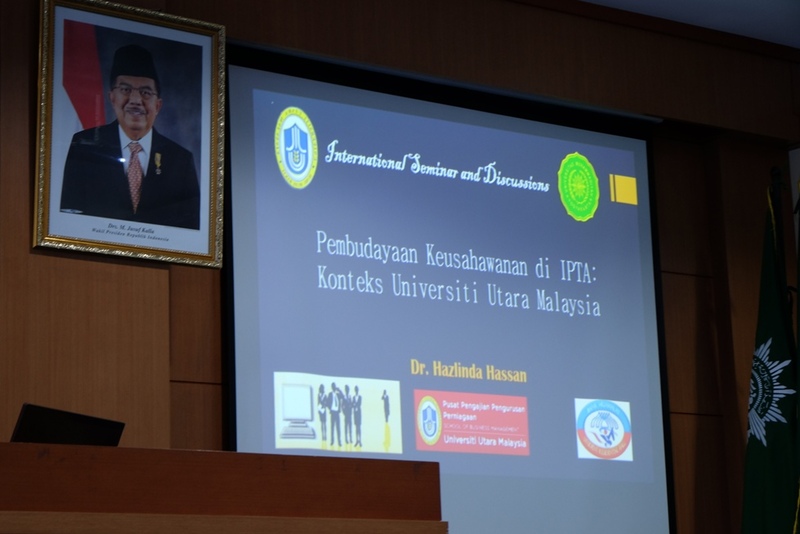 Therefore, institute of higher education in Malaysia is assigned to become educational agents that make the Malaysia-Indonesia education hub more intact. This morning, a total of 19 people from the Universiti Utara Malaysia (UUM) have mobility without credit to the Universitas Muhammadiyah Yogyakarta (UMY). 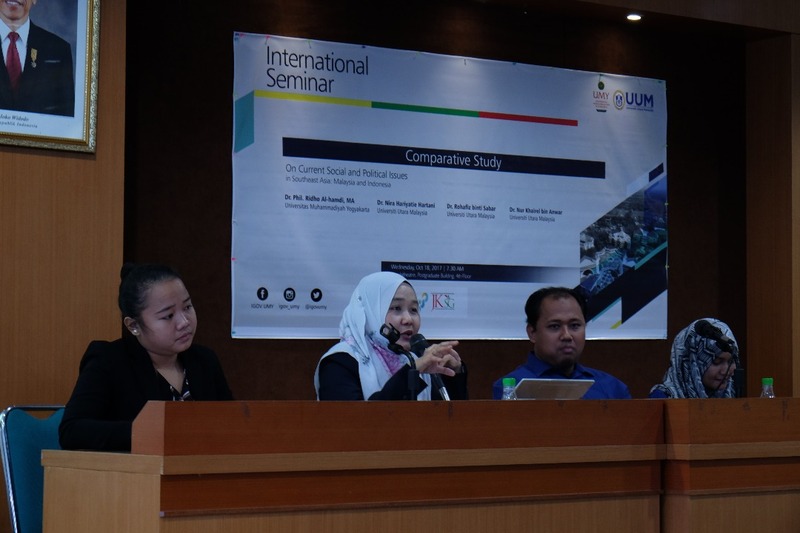 All the delegates warmly welcomed by International Program for Governmental Studies (IGOV) at Amphitheatre, Post Graduate building 4th floor UMY. The greeting ceremony has opened by traditional dance performances from UMY students and continued by performances from one of the UUM’s student.